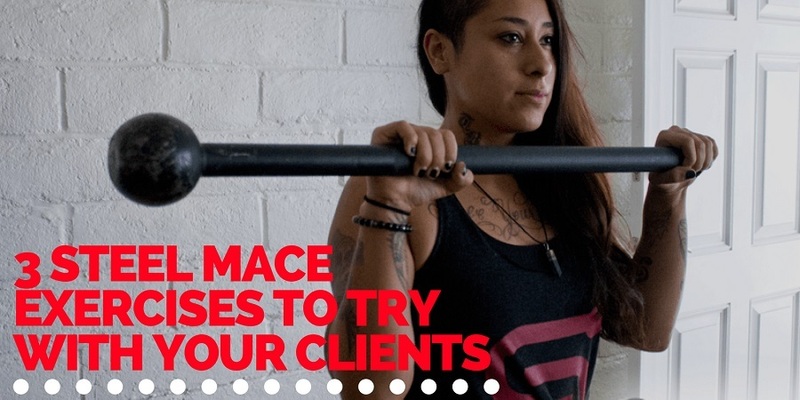 The mace has many benefits for your clients and what makes it an incredible, unique and yet challenging fitness tool is its uneven weight distribution. This alone forces your client to have to engage muscles they have never worked out before and depending on your programming it can also move your client in different planes of motion in one go. This creates an overall great functional workout that your client will enjoy and that they can use out in the real world. One of my goals as a coach is to help my clients go out into the day without pain and injuries. The functional aspect of the mace will do just that and personally, this is why train with it on a daily basis. 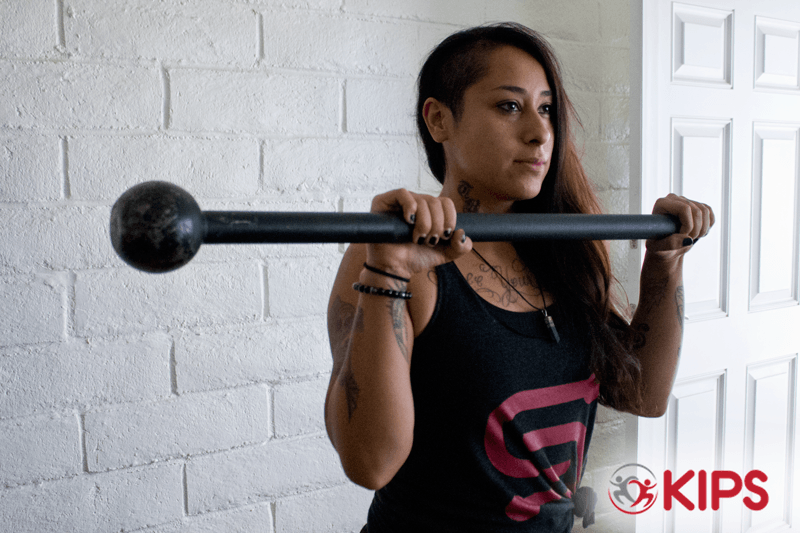 Below I will share 3 Steel Mace Exercises you can try with your clients to improve their overall fitness. Let’s go! If you want to get your clients heart rate up and get the blood flowing then I recommend the Grave Digger. This movement requires a strong grip, balance, stability and core strength. Incorporating this exercise will increase your client’s endurance which makes it great for athletes that need that edge for their own sport. But keep in mind that it’s an overall great exercise for beginners too. One hand will be at the end of the mace handle (knuckles pointing down, palm facing towards your body) while the other hand will be placed towards the middle or center of the mace handle (knuckles pointing down, palm facing away from your body). Note that If you have a mace with a shorter handle you can reach a little farther out than the middle. I personally know about this small adjustment because I love using my lighter 7 lb mace (I named her Lilith). Your feet will be in a boxer like stance position. Turn sideways with your feet hip-width apart. Keeping in mind the back foot will be out a bit. 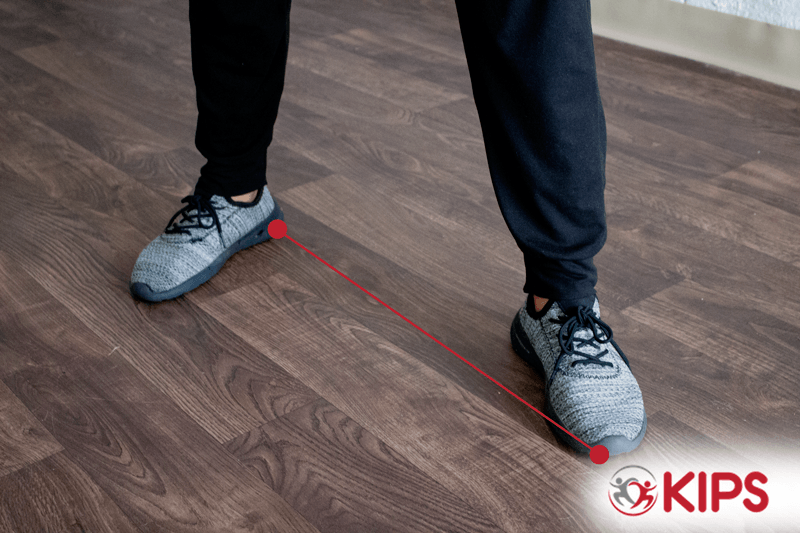 A great way to align correctly is by imagining a straight line coming in the center, between your front and back foot. Start by putting your front foot toe on the line and then your back foot heel on the line. As you get into this stance remember to always stay grounded in this position; Never too narrow nor too far apart with the feet. Once you got the hand position and stance down we can now move on to the actual movement. Start by moving down with the mace, then “swoop up” or “pick up” the mace head over your shoulders and then finally over your head. When the mace is over your head the supporting hand (the hand in the middle of the handle) should be straight. From here go back down and repeat the exercise. Remember the movement is comparable to shoveling dirt in your backyard. Oh and don’t forget to work both sides! The Grave Digger targets the following areas: shoulders, arms, obliques and the lower back. The Levered Press is really just your standard overhead press but what makes this press exercise better than let’s say a barbell overhead press is its offloaded resistance. So what do I mean by offloaded resistance? Well, that simply means that the weight of the mace is entirely distributed to one side and your client will have to compensate for that. This will make your client have to work harder to control the mace as it will try to pull them towards the weighted side as it’s going up and down. 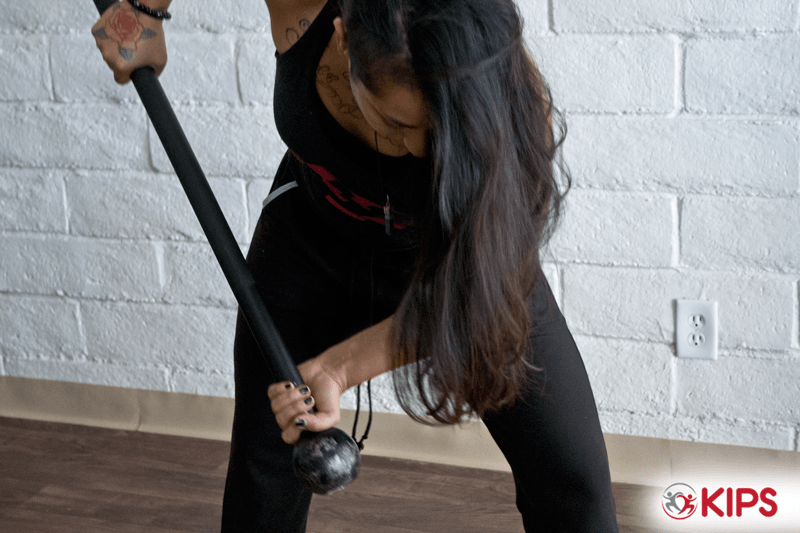 The only way to control the mace is by having your client push and pull on the handle (this also keeps the client safe), activating many upper body muscles and the core to level the mace. Overall this exercise is great for upper body and shoulder strength as well as a great way to engage the core. To start, you will be positioning your palms forward and knuckles pointing straight up on the mace handle. The mace will be in a front load position – this means that the mace would be horizontal, across the chest. Whenever you go up and down with this hand position, try to stay in the same position without letting the wrists go too far back or too far forward. Your stance should be feet pointing forward, hip-width apart. Now that I explained the hand and stance position let’s move on to the actual movement. Starting at the front load position, press up with the mace. As you are pressing up remember that the only way you are going to balance the weight or keep the mace straight horizontally above you is by pressing with the hand that is located nearest to the head and pulling down with the hand that is at the end of the handle. This push and pull force is important to keep your client safe during the exercise. You can also take the intensity of the levered press to another level by shortening the hand width. The Levered Press targets the following areas: shoulders, pectoral muscles, triceps, and core. What’s made the mace so popular up to this point and what’s makes the mace unique in its properties are its traditional swinging exercises. Obviously, at first, the 360 will be very challenging to your clients and there will be a few things you will have to prep your clients to do before going straight into a 360 which can be seen within the KIPS True Mace Training Certification Online Course and the Live KIPS True Mace Training Certification Workshops (in case you haven’t taken it). 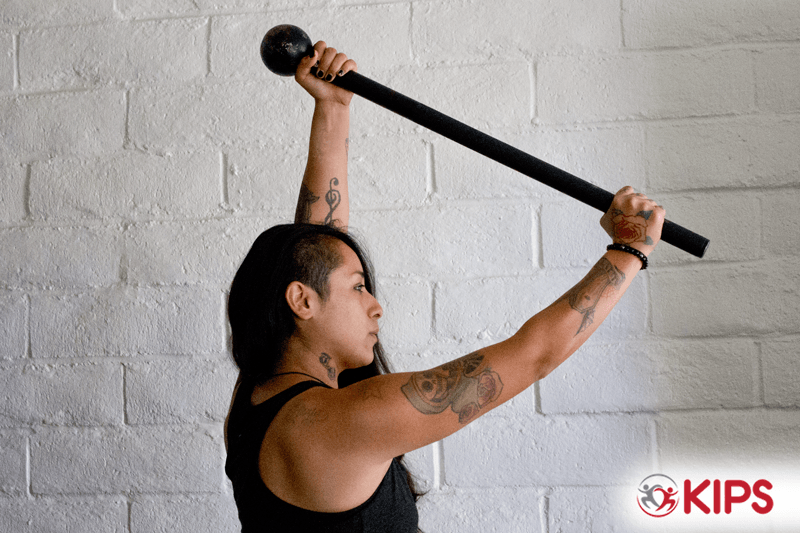 The mace will travel around in a 360 motion (circular in nature), and although it might look and feel a bit scary to your clients at first this exercise is very safe and very effective for shoulder and core strength if taught correctly. 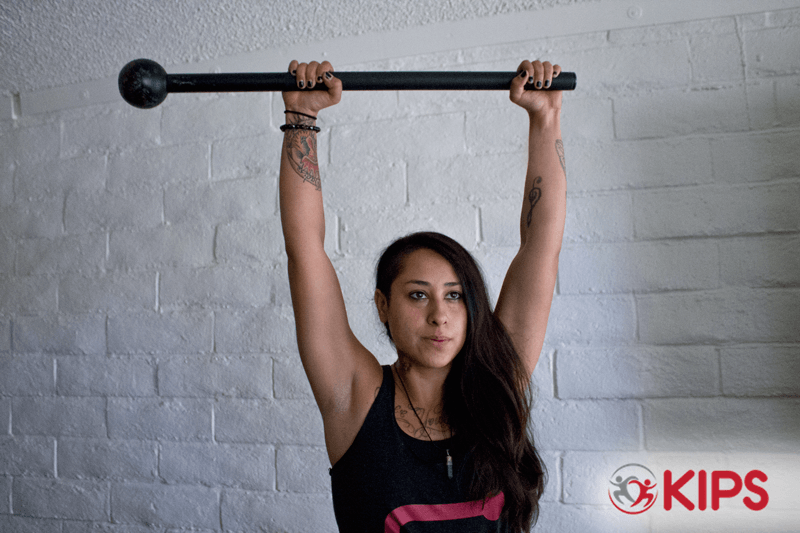 Another reason to add this to your client’s mace training session is its amazing shoulder mobility and flexibility aspects. 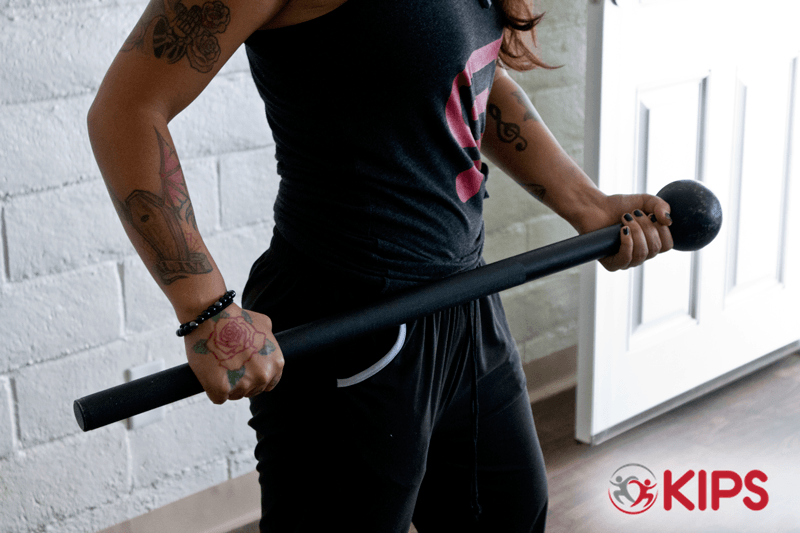 For the 360 exercise, the mace will be positioned vertically and centered in front of your body, mace head on the top with your hands in an in-in position towards the bottom of the handle. 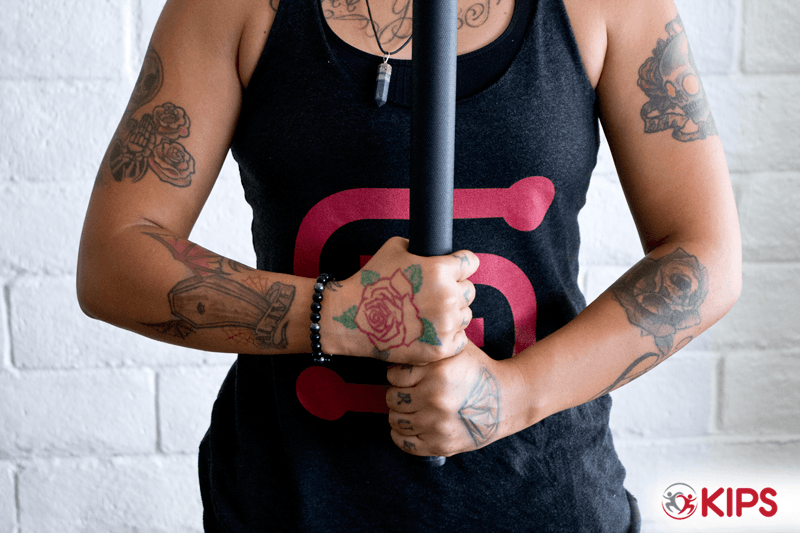 The in-in position means both palms facing towards your belly, your knuckles pointing straight in opposite directions and hands “stacked on top” or “touching each other” at the end of the mace handle. Keep a neutral and straight spine, engage the core and glutes. Engage your shoulder blades down. Start with the mace in a vertical front position. Once you are ready and focused push the mace around your shoulders. You might be asking, wait but what way should we swing? Use the top hand as a guide! Point the index finger of your top hand and swing in that direction. As you do so, keep your neck and hips stable at all times. 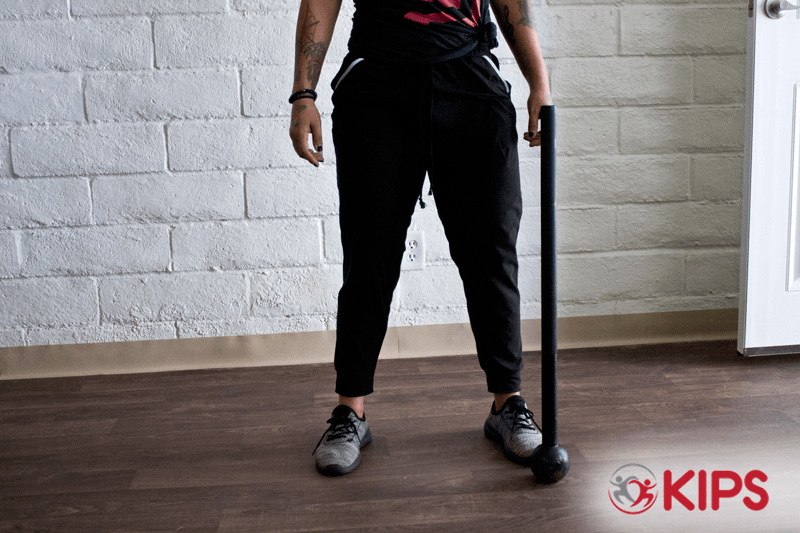 Once the mace reaches your back make sure that your stacked hands meet at the base of your neck behind you BUT no worries if you can’t at first (could be a mobility issue that will take care of itself with enough mace training). Now that the swing is about ready to end behind you, the mace should be ready to be pulled forward again; you can use the momentum of the swing to pull it around your shoulder and back to the front. This completes our circular 360 movements! 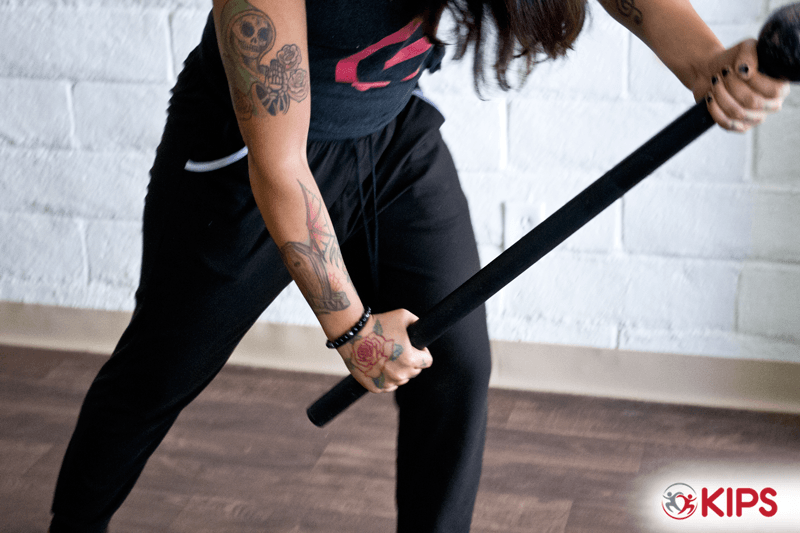 Always remember to bring the mace back into a vertical position towards your belly for each swing and NEVER swing too far forward or too far back. The 360 targets the following areas: shoulders, upper & lower back, pectoral muscles, and forearms. 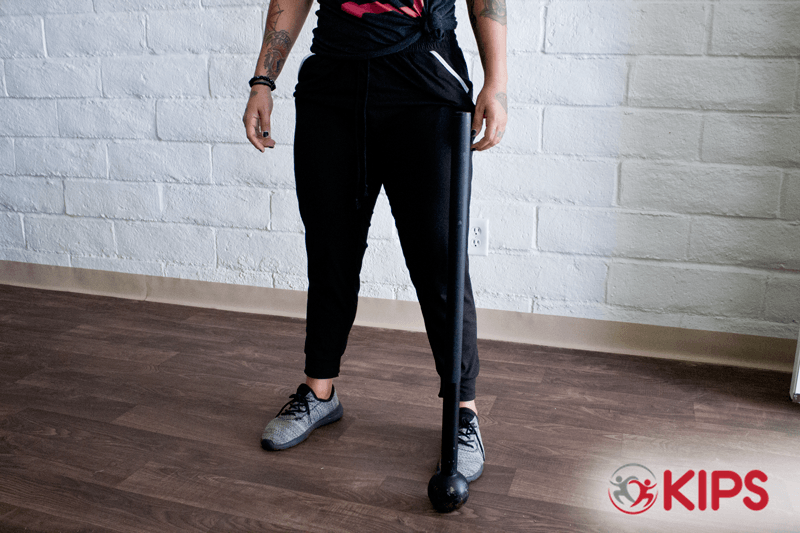 All righty, well I sure hope that this article was useful to you and that you continue to improve your client’s movement with mace training. As stated before it is a great fitness tool to implement and not only will your clients love it, I believe they will stick to it. Who wouldn’t want to continue training with a tool that makes them feel like a warrior? One last thing, I would like to offer you an opportunity as a KIPS True Mace Coach. Let those searching for a mace coach find you! I have a website dedicated to the art of steel mace training and within it is a coach directory that I know you will find beneficial. Sign up for the SMW Steel Mace Coach Directory listing TODAY, it’s completely free. All you have to do is go to: http://www.steelmacewarrior.com/steel-mace-coach-directory/ and create your free listing.